Here at Fotoimpressions our brand and reputation are built upon our adherence to the highest standards achievable. Naturally, we use the very best when it comes to the presentation of your wedding day story - your album. Our custom designed Coffee Table Albums, printed and bound by Graphistudios in Milan Italy ensure that your most cherished memories are presented and preserved with style and sophistication. Graphi Studios prints every single page of their albums on traditional wet process photographic substrates and uses archival materials in their bonding and binding processes. Simply put, Graphi uses the finest products to produce what are considered the most sumptuous and sophisticated wedding albums in the industry. 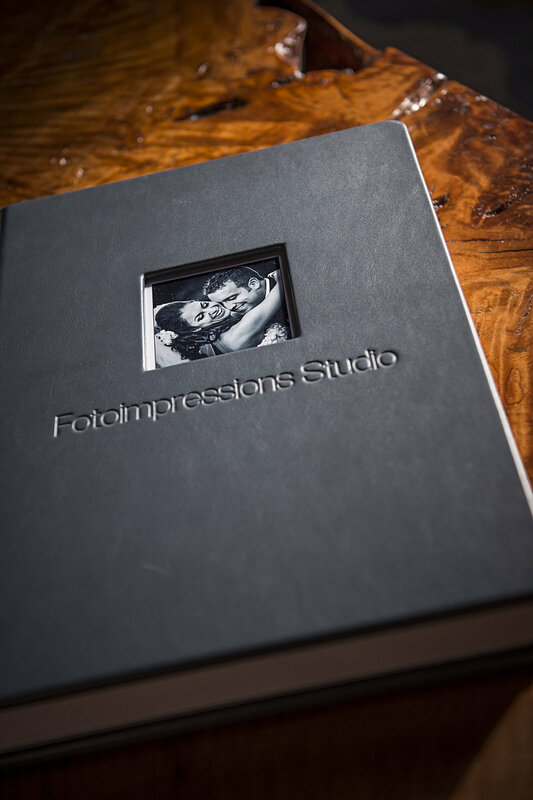 If you happen to invest in a Fotoimpressions package that includes a Graphi presentation or you choose to commission one a la carte - there are infinite customization options available to create your perfect album.